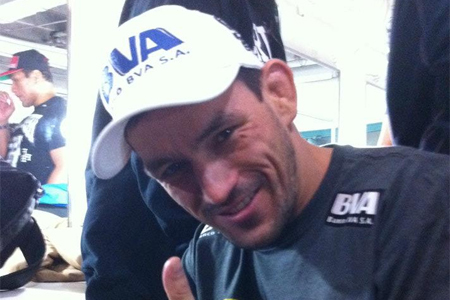 After 13 middleweight fights inside the Octagon, former top contender Demian Maia (Pictured) has decided to shed 15 pounds and drop to the UFC’s welterweight class. “Guys, now I ll moving down to 170 pounds. Next fight I ll be a welterweight,” Maia tweeted just moments ago. The submission specialist owns a 15-4 overall record and posted a respectable 9-4 mark under the UFC’s watch. Maia made it all the way to a title fight against champion Anderson Silva in April 2010, but fell short in a lopsided unanimous decision defeat. The 34-year-old has dropped two of his last three fights and was most recently seen losing to Chris Weidman in January. No word on when Maia will make his welterweight debut.